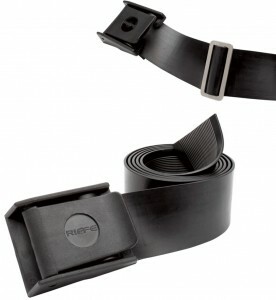 54" (137cm) flexible rubber weight belt may be adjusted by cutting to size. Inner horizontal ribbing prevents shifting while diving. Anti-corrosive glass filled Nylon cam-lock buckle with fast ditch capability. Click the button below to add the Riffe Rubber Weight Belt with Retainers to your wish list.